I’m finally back to work. I’m starting off slowly, as I gain my strength. Being healed is one thing. Recovery is something else. Up to today I can get in and out of bed without assistance, dress myself, wash dishes and cook dinner all while in a wheelchair. Brothers Chris and Bernie were are always attentive to my needs, especially Brother Bernie. I don’t know how the man does it. He teaches college, religious education and takes communion to the sick at the local hospital. On top of that, he has prayer commitments and household chores. However, he always has time to give me hand when I’m stuck. I get stuck quite easily and sometimes its comical. One day I was coming out of the cell, in the wheelchair. As I left the cell, I turned my chair around, 180 0. I had never noticed the narrowness of the corridor outside to the cell. Needles to say, I spent almost 15 minutes trying to turn myself around to go in the right direction and I always ended up facing either the bathroom door or the cell door. Apparently, I crashed into the walls and door so much that it attracted attention and another brother had to rescue me or I would still be swiveling from side to side in a narrow corridor. Yesterday, we had our weekly community meeting. The discussion centered on putting everything in the hands of Christ and his mother. As we took turns talking, one of the brothers referred to something interesting that happened to me as I was crashing to my death. Brother said, “If that had been me, I would have been asking God ‘Where are you?’ “Or I would be concerned with what’s happening. My blood pressure was crashing, my kidneys stops working. I stopped breathing and had to be intubated. Now comes the part that interested me. Brother said that I had not said a word from the time they rolled me out of the emergency room into ICU. As I was losing air I said, “Pray with me.” He says that I could hardly be understood. He asked me if I wanted to pray the Rosary and I nodded “no”. 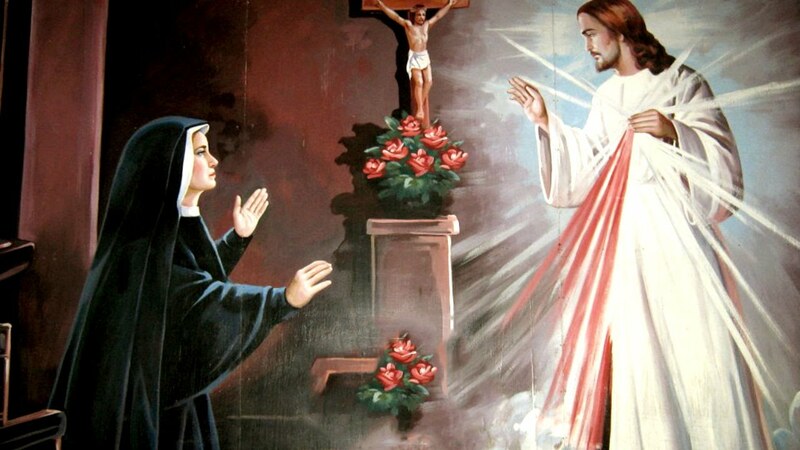 He then asked me if I wanted to pray the Chaplet of Divine Mercy and I nodded “yes”. We started to pray the chaplet. Brother remembers that my voice faded out and the doctor and nurses moved in with all kinds of gadgets to assist my breathing. Nothing worked. It was decided to put a respiratory tube down my throat. If that didn’t work the next step would be to let me go. The doctors and my family had done everything humanly possible to keep me alive. They followed Pope John Paul’s example to the tiniest detail. 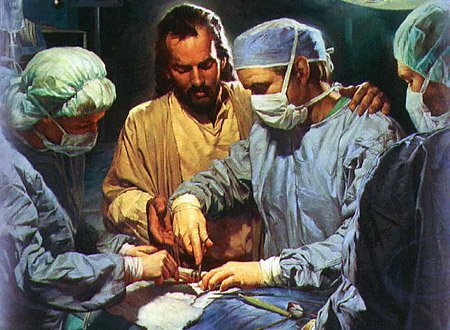 A tracheotomy would have been an extraordinary measure, without any guarantee that it would work. As Brother was sharing what he saw and what we did in ICU, he and the other brothers expressed amazement that I had not called out to the doctor for help. I don’t remember any of this. But apparently, I never panicked as my organs were shutting down and allegedly I had a look of peace. While I was in a coma, I remember being in a room with other deceased people. There was only one way out and it was guarded. I saw dark shadows come toward me. I my state of mind I believed that I had died, and these were demons casting lures for my soul. 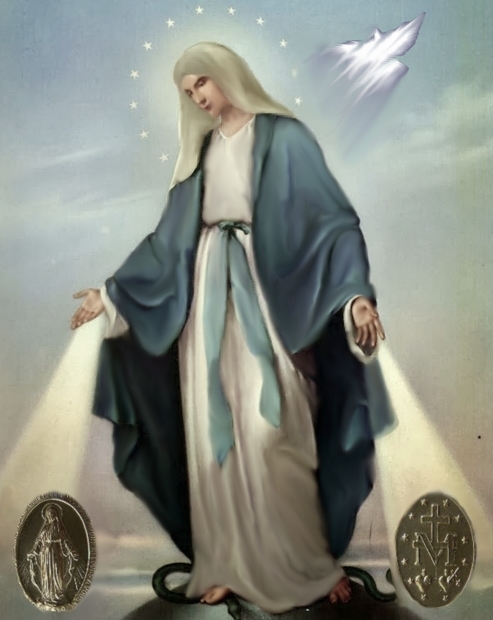 As they got closer I began to pray, “Holy Mary, Mother of God, pray for us sinners, now and at the hour of our death.” I had great confidence that no evil could touch me under the care of the Immaculate Virgin Mary. 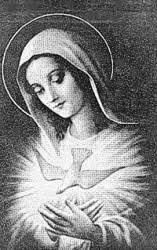 As I prayed the second part of the Ave Maria, I thought to myself, “Try to get past her.” Her being the Immaculate. With that, she touched me. She touched along the sides of my kidney. She placed her frail old hands on my chest and finally, she signaled that I could leave. But she didn’t speak, neither did the Immaculate. All the communication took place without words. I can’t explain this. I DON’T claim this to be miracle or and end of life experience; but I’m not sure that it was a dream either. After more than two weeks, I opened my eyes and tried to recognize everyone standing around me. I saw my brothers and the medical team. 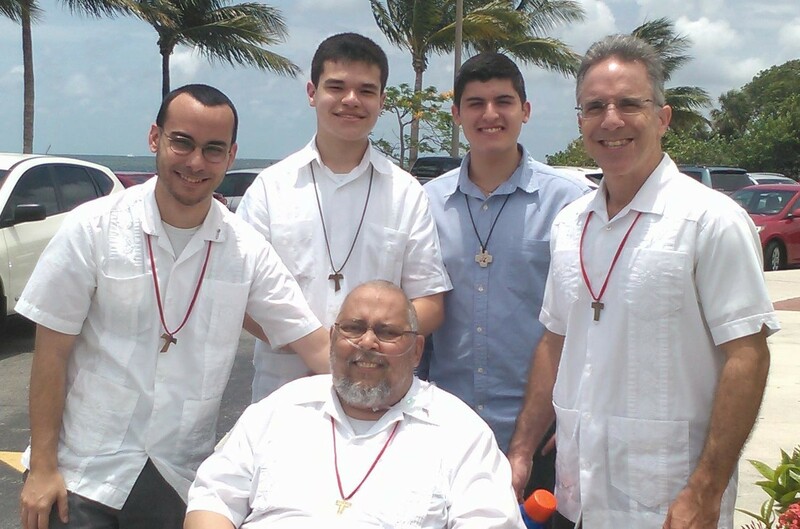 I couldn’t speak clearly, so I communicated with my eyes and my hand that I wanted the brothers to call my friend, Father Jeff. When arrived he told me that he has already given me all the sacraments that I needed for a Christian death. 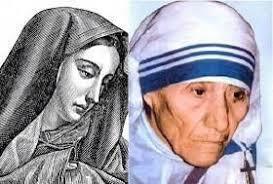 But I wanted to tell him about the Immaculate and St. Teresa of Calcutta. Given that a breathing tube has just been pulled out of my mouth, I could only make sounds. We talked and finally he gave me his blessing. If we fast forward to last night, one of the brothers said to me. “The only thing that you did was to pray. Everything else was the work of Grace.” I sincerely believe this. 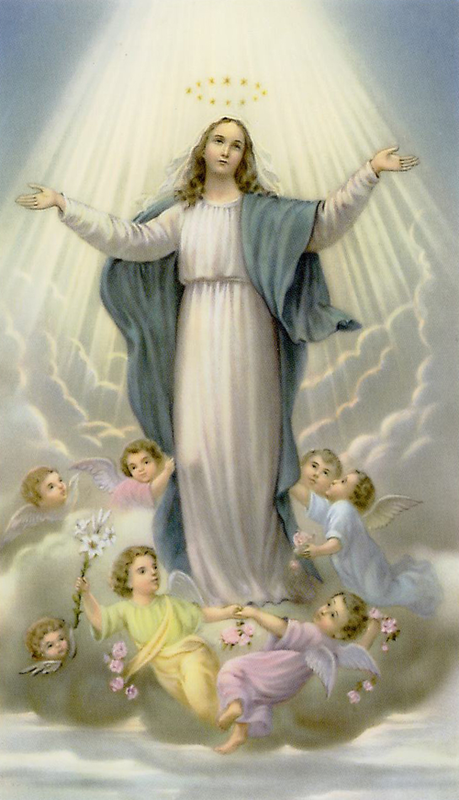 If we place our lives in the hands of the Immaculate at the foot of the altar, she will always command the angels and saints to fulfill God’s will for us. But she will never leave us. She will find a way to make us “presentable” before her son. But we must be willing to be John, the Beloved Disciple who stood by her at the foot of the cross and embraced her as MOTHER. Lovely. Just a lovely witness of the power prayer and the holiness of the Saints. Beautiful! I’m so happy you’re still with us to share your faith. Perhaps we needed you here a little longer, and by grace we were able to keep you. What lies ahead will be grace as well, thanks be to God. Hey Brother JR, I was just reading your posts on CAF. Come back to CAF, it needs high quality posters like yourself! I wholeheartedly concur. I haven’t been on CAF in some time, but we are researching different things about religious life since our daughter is seriously planning to join the Sisters of the Most Holy Soul of Christ here in south Florida. I happened across your posts about religious life. They were so informative. Thank you so much. I would love to have a chance to sit and talk with you about this.